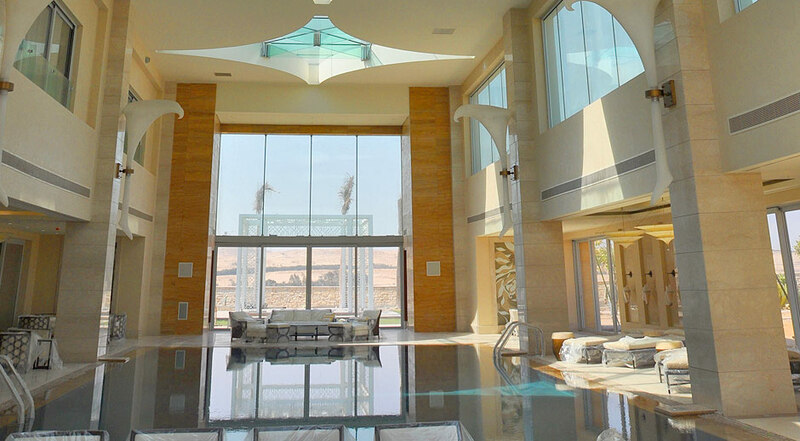 Villa Ghabbour is part of Mirage City, a development located outside the city limits of Cairo. This 'residential oasis' is part of Egypt's drive to turn areas of the desert into green and habitable suburbia. 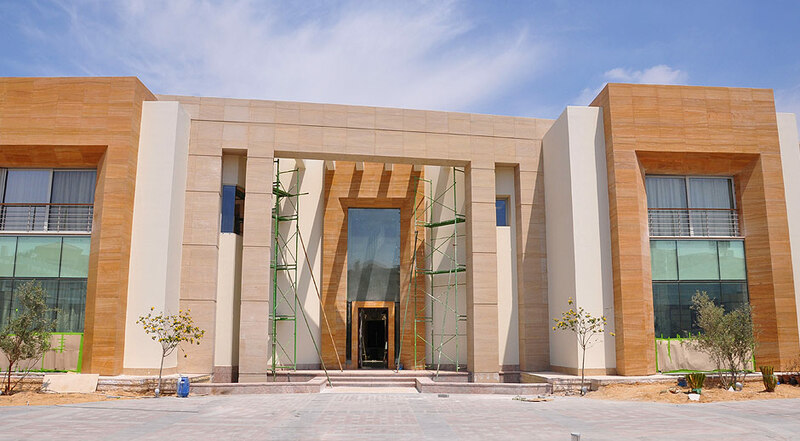 ThermoSpan bolted glass is one of the major features of this prestigious project. Hansen ThermoSpan bolted glass provides a totally flush façade, without penetration of the fixing bolt through the external skin, in double glazed and laminated applications. The uninterrupted external view as a result also maximises daylight penetration. 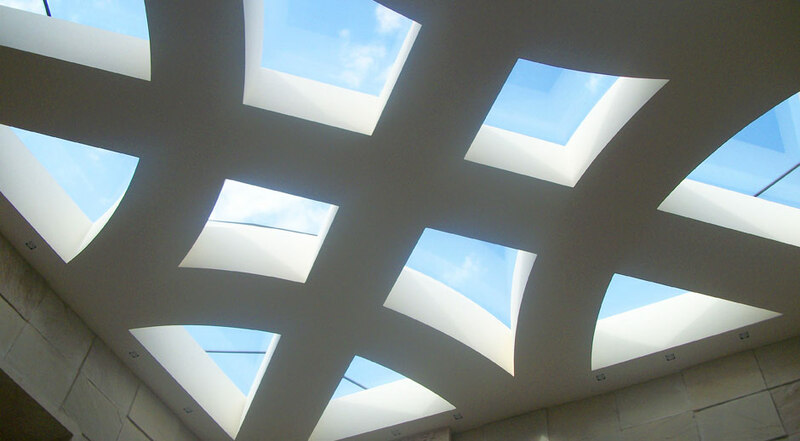 The panes of glass can be selected from the complete range of glass products from most major manufacturers. 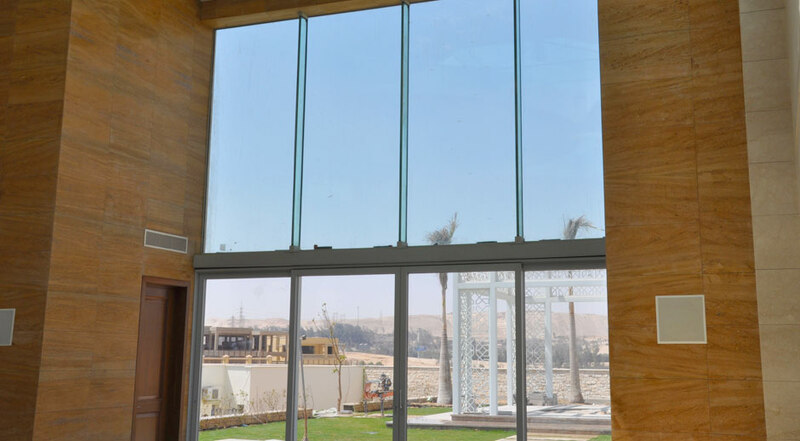 Unique mechanical fixings create clean and uninterrupted glass structures without any external framing. 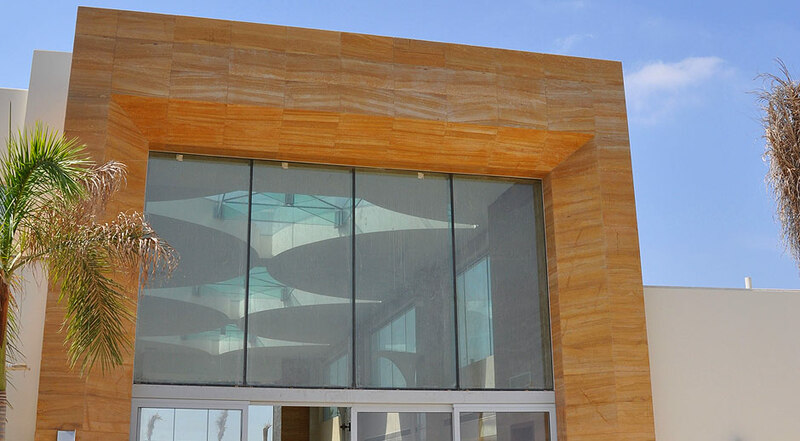 The Bolted Glass Double Skin allows the complete structure to be designed with insulating glass units. 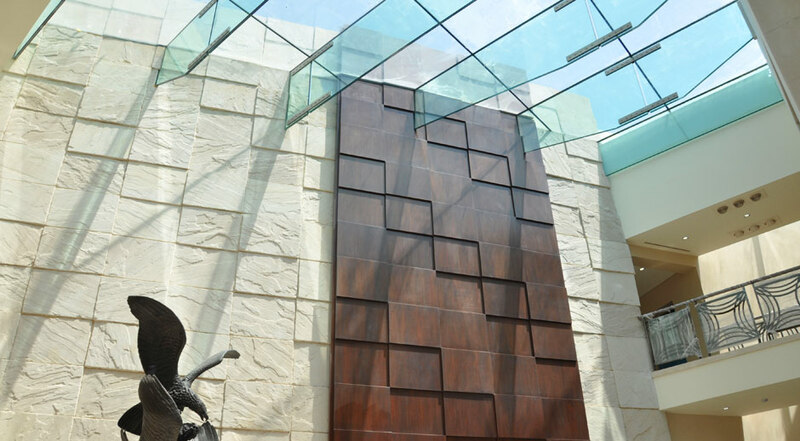 Hansen ThermoSpan laminated bolted glass adds a further dimension in terms of safety, particularly where the glass is used in roof structures, canopies and atria. Interstitial blinds can be introduced into ThermoSpan Laminated Double Skin, greatly enhancing privacy and environmental management possibilities.